A Dash of RED – Doris Dawn – Mature Model. New colorful post by our guest blogger Ruddy Adam. Aside from being very successful national and international chain businesses, what else do you think these companies have in common? To help you answer this question, check out the websites linked with these four. Alright, if you answered that every one of these companies has the color red as the base color of their logo or their company signs (or either in the trim somewhere), you can count yourself as very observant. Now, if you know why all these companies (and many, many more) chose red, then that means you’re up-to-date and well-remember the studies we put out on the things that help your brain. Colors matter to your brain. As a standard rule, our brain responds well to the lighter rainbow colors—not well to the darker earth colors. This is not just some myth like the many that you will find at your local healthfood stores, for example, such as the craziest one of all that says—clearly for the purpose of turning the world into vegans—“red meat sits in your intestines for a year without digesting.” Nonsense! Or, the latest one that has spread into the health industry, that claims “gluten is poison.” Nuts! 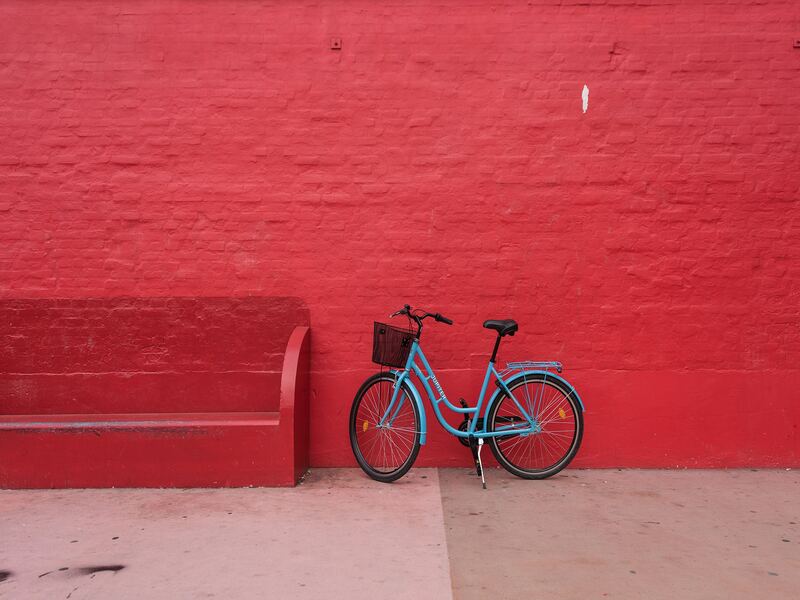 We know from studies since the 1920s that red is the color that 90% of people notice first over any other color. When shown red and six other colors—even people who did not necessarily like the color red—chose red as the first color to catch their eye. Study after study shows that red affects the brain in a positive way—it announces that “fun,” that “joy” is about to take place. It is the inviting color—which says—Come in! Enjoy yourself! It says to you early in the day: “Wake up! There’s fun to be had!” Red gets your brain ready for the day. The reason so many large companies choose it is that they hire marketing experts who’ve studied these things. You will notice that poor little companies (mom- and pop-type shops) who choose their own color and logos often go with “earth tone” colors that you can hardly see, and the poor things sit there empty until they bust out. Their signs and logos are part of the reason this so often happens, and the fact that most people opening small businesses know as much about running one as the rats in their cellars do. They do little research, get advice from successful entrepreneurs and small business owners rarely, read about how to market their products and services almost nil—thus a large percentage of small businesses bust out after a short run. A couple of cases in point regarding the power of using the proper color inside a public business as well as on signs and logos, “Panera Bread” went the earth tone route. Oh, it’s done well—for sure—but even the company believes it could have done better with another color scheme. No telling what it’s cost the company to market itself as a specialty restaurant for young folks—the trendy thing, you know. In the mid-west, a small mom and pop outfit opened a “Coffee and Pastry” shop a few doors down from a Panera, with a big red sign (Coffee & Pastries) and a white background. The place was constantly packed and Panera eventually moved to another location. Originally known as “Sun Company” but now as “Sunoco,” as the oil company got bigger and bigger and spread across the US, it chose the colors yellow and dark blue—which did not work well. In a panic, they had an expert marketing agent tell them they needed a dash of red in their sign/logo, which would keep them from having to spend millions to change the entire thing. So—quite brilliantly—they added a red arrow through all the new signs they put up. It worked. The Classical Architecture Period started in the late 16th Century (about 1530) and went through the early 19th Century (about 1820). The Classical is centered around ancient Greek, Roman, and Isrealite styles, is often symmetrical (but not always) which is an eye-appealing (read: brain-appealing) design, and is decorated with scrolls, leaves, all sorts of nature derivatives, and also human features. The Classics used red, blue, green, and yellow, to choose for their base room color and used white and gold for trim—they rejected all other colors as outside the pale of what was appealing to the eye. A standard rule was that every room have at least “a dash” of red—no matter the base color. They knew from their own observation that red lit up a room—that it took the drab out of it. They had no idea that the brain saw red and reacted positively to it. Red blends best and stands out better and speaks best to the brain with white, yellow, or gold as trim. It will go as a “dash of color” with any other color, and can brighten black, brown, or any color. Don’t fear to put it with any other color—for the sake of your brain. People will often say when you explain this fact to them, “Oh, but I like green best.” Or, “I like pink best.” Those are fine colors—but they don’t do for your brain what red does. That is the whole point. Not what you like best! You may like a color for cultural reasons, or because it was your school color, or something along these lines. We’re talking about a color that has the backing of many neurological studies that tell us it lights the brain up, that it causes the brain to produce good, positive chemicals that help us get through the day and through life better. Our point being, red will help you fight off that “Damned Black Dog” that hits every winter. Every human has more trouble with depression in the winter than any other time. The brain needs help during the winter. Depressives really get whacked in the winter, when it’s cold, dark, and damp. Put some red in the rooms that you most often frequent at your home and your office. It doesn’t take much. Your brain will react to it—even if you forget about it. Make it a small centerpiece in rooms. A few fake red apples on a table. A picture with red in it. A painting. Anything that is noticeable. A rug. You don’t have to break the bank. For a few dollars you can help your brain out a bit—it will love you for so doing. Especially put some red in the room where you spend the most time when you first get out of bed. It will help cause the brain to wake up—to get ready for the day with a more positive attitude. To calm down for the evenings or to relax for a while, have some blue around. Blue is the calming color, the color that causes your brain to slow down, and thus your heart. Take advantage of what colors do for your brain and for your health. If you get upset or feel like you’re too geared up, go outside and look at the blue sky if it’s a clear day. If not have some blue close to you so you can look at it and that will help calm your brain, and thus you. Putting red around you is not a cure-all for depression. Depressives are clinically, that is, genetically prone to serious depression—and it’s going to take more than the color red to beat that type of depression. But for most people, red is one weapon that will help you beat of that “Damned Black Dog” that viciously attacks everyone in the winter. I see a few people every winter who can hardly get out of bed. They often go to bed earlier and get up later. Or, sometimes they can’t sleep. One thing that is absolute about depressive in the winter: They’re so irritable all day that you can hardly talk with them. They’re accusative, contrary, and truly just plain mean. Those type of people harm the brains of people who’re not standard depressives. Stay away from that type of personality as much as you can—especially during the winter when they’re always much worse. If they’re merely casual acquaintances, duck them completely during the winter until they do something about their depression. If you must see and talk to them, make it quick—and move on. Protect your own brain!! One day we took each other by the hand and went for a walk in the evening. And we walked like that for our whole life. CougarBunnies.com – Cold and cloudy January 2011. This morning, freshly published on CougarBunnies.com – 46 red hot geeky pics. Posted in Health Matters, Photos, ReflectionsTagged red, red stockings, red string, red top no pantiesBookmark the permalink. Pingback: Not Even a Sin – Doris Dawn – Mature Model.